“A major obstacle our students face is the lack of opportunities in Palestine, especially for those who develop interests in STEAM areas. Most of them will end up looking for programs and jobs elsewhere because what is available in most schools here is so limited and outdated,” said Chloe O’Connor, Lower Grades Coordinator at PBS. PBS was one of Level Up Village’s first Global Partners to incorporate LUV’s curriculum into the school day – a bold move that has helped the school greatly expand its science offerings. The bilingual school (Arabic and English) was founded in 2007 to provide an inclusive, student-centered education that could not previously be found in Nablus, with the goal of preparing students to be global citizens, creative thinkers, and future leaders in their communities. PBS was one of Level Up Village’s first Global Partners to incorporate LUV’s curriculum into the school day – a bold move that has helped the school greatly expand its science offerings. Starting in March of 2015, Pioneers offered LUV’s Global Doctors, Global Video Game Designers and Global Inventors and will add two more LUV classes this fall. 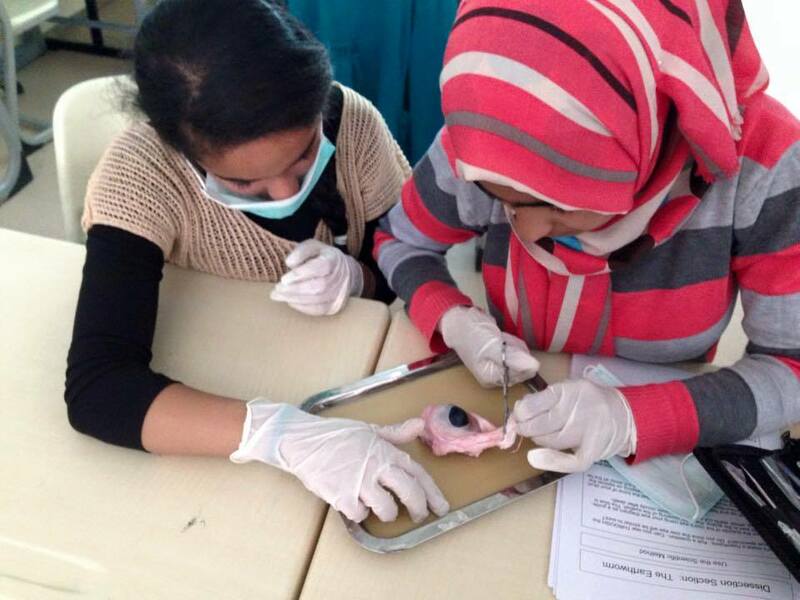 “Prior to the Global Doctors course, our science lab was not equipped with dissection materials, and we weren’t able to do any labs like these with our students. 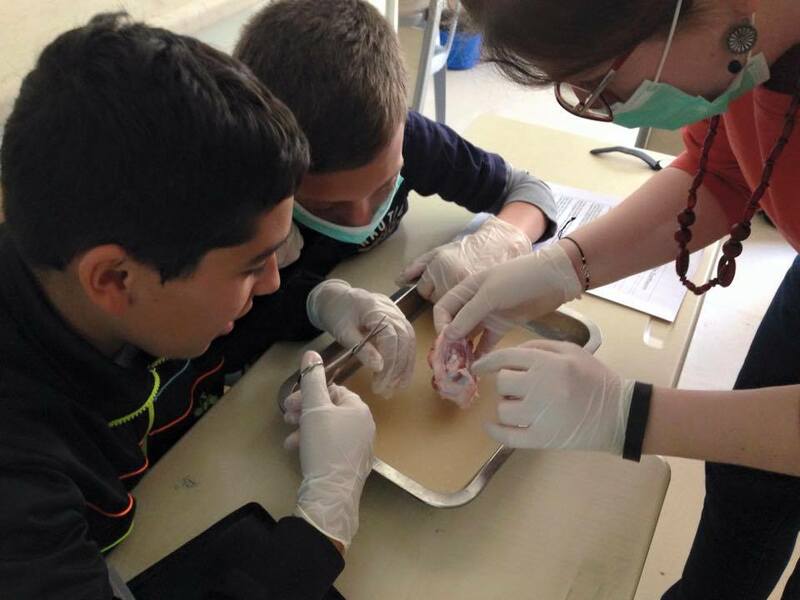 With the help of this class, we are fully equipped with such materials, and being able to see things firsthand really added to the students’ understanding of the material they usually only read about,” said Muna Nemer, Biology teacher at PBS. The Global Doctors curriculum also helped students enhance their critical thinking skills. “Instead of just memorizing information from the textbook, they’re more inclined to make connections to things they’ve seen in other places to propose ways to do things differently or even better, to ask ‘why?’” added Nermer. In Global Inventors, students were paired with partners in Connecticut, New Jersey and Texas. Together, they learned about energy scarcity and used Sketch Up – a computer assisted design (CAD) program – to design a solar-powered light source. In addition to collaborating on their projects, students also found opportunities to inject some levity into their video messages. “My class loved our video letters.Some of the kids we were partnered with were so funny, and loved to dance and rap, so we exchanged some songs and dance videos. We sent them a clip of our kids dancing a traditional Palestinian dance (dabka) and they sent us back a video where they tried to do it too!” said O’Connor. Like Pioneers, other schools are opting to integrate LUV courses into the school day, with great success. This option allows schools to refresh their existing curricula, provide ample hands-on learning opportunities and facilitate both cultural exchange and global collaboration – all during school hours.